Firstly our illustrators: Chris Haughton for the official 2015 poster (with thanks also to CBI who gladly shared the image with IBGD), Anna Walker and Gus Gordon were both generous with their time in designing adorable bookmarks and bookplates. Nicky Johnston, Kylie Box, Yvonne Mes, Kelsi Jo Silva and the 52-Week Illustration Challenge Group for those stunning bookmarks. 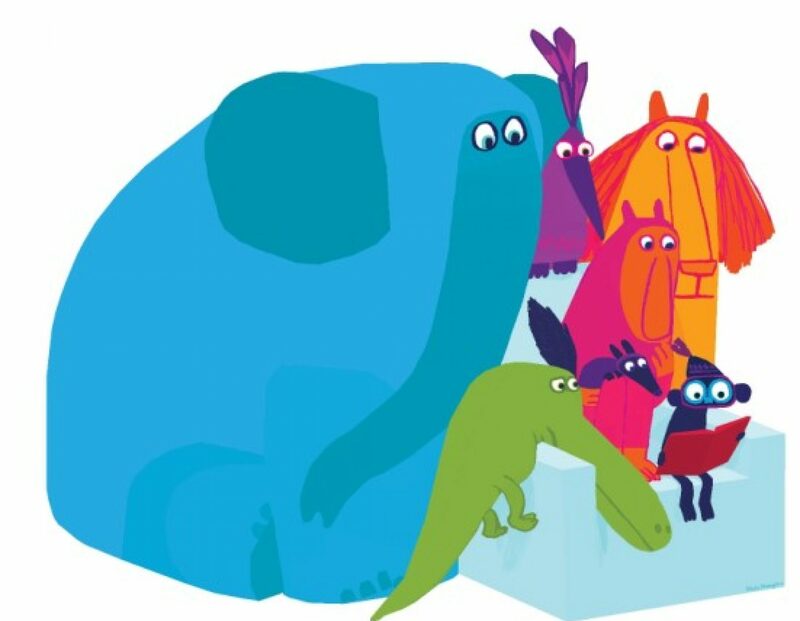 Thank you to all those who have helped spread the word, including but not limited to … The Guardian UK, BritMums, Australian Children’s Laureate, Red Ted Art, Danny D Pearson and Kids Book Review, plus, of course our dedicated team of book loving bloggers whose tireless dedication has helped make IBGD what it has become today. …. and finally, to all of you who generously gave books and / or supported those who did. THIS is what you achieved …. India – At our village library, Vunnava, Guntur District, Andhra Pradesh, India all the visitors (primarily children) put their names in a box for two weeks. And on International Book Giving Day (14 Feb), we randomly picked 50 names from the box, and a book is given to each. Here is the sponsor of the program distributing the books to children. We plan to run this program every year. Thank you for the inspiration! Nepal – Grade X students Jagat Mandir Higher Secondary gifted books to students in the school. Canada – Calgary Reads, Calgary, Alberta – our book drop crew dropped free children’s books around the city! Annapolis Valley Regional Library left books throughout their community for residents to discover, Angela Reynolds (AKA the Book Fairy) delivered books to children in Nova Scotia. Nigeria – 1Child1Book took to the streets in Lagos and gifted books to the children they met. UK – give aways galore from The Book Sniffer, Danny D Pearson ( a HUGE supporter on Twitter), the generous Lost My Name team, HookedonBooks Team (Bloomsbury), and Catherine Friess (Story Snug). Mowmacre Hill Primary School in the UK held a bookmark competition for #giveabook day & gave ALL the students a book too! Zoe Toft (Play By The Book) single handedly ran a worldwide book swap. Uganda – the Mpambara-Cox Foundation gifted books to children, for many it was the first time they have been given a book of their own. If you are now inspired to get involved in 2016, ensure you sign-up to the website to receive 2016 news nearer the time. This is a really good idea, it would be great to see this initiative in place for this year as well. It certainly is. The 2016 poster has now been launched. Hi at Waterfall PS in NSW Australia, each student from K to 6 brought in a preloved book wrapped in brown paper and string to give to another child in their library class. The students treasure the books they have received and it has helped raise awareness and interest in books and the treasures they contain! Thanks for the lovely posters and bookmarks. A modest debut for me, but certainly a great cause! Thanks you for organizing it, Emma! It’s been my absolute pleasure Evelyne, thanks for taking part. You can add Guyana to your list of countries. My daughter Ashley is a Peace Corps Volunteer there now (GUY26). Our book drive for Guyanese elementary school kids included friends and family, (work) fellow employees at my business, and community (coordinated with hometown intermediate school for student book drive). Great fun with a wonderful reward! Hi Kathy – that’s brilliant. Thanks for letting me know, & thanks for such an awesome book drive for IBGD. Oh Catherine, it’s been a pleasure to have your enthusiasm behind us again this year. Thanks for all your support! Oh boy did we have fun! I rolled out our give-away table of books at the end of the school day-kicking off a long Presidents Day weekend- and kids and parents flocked to it. They delved into the variety of donated books and emerged with huge “look what I found!” smiles. 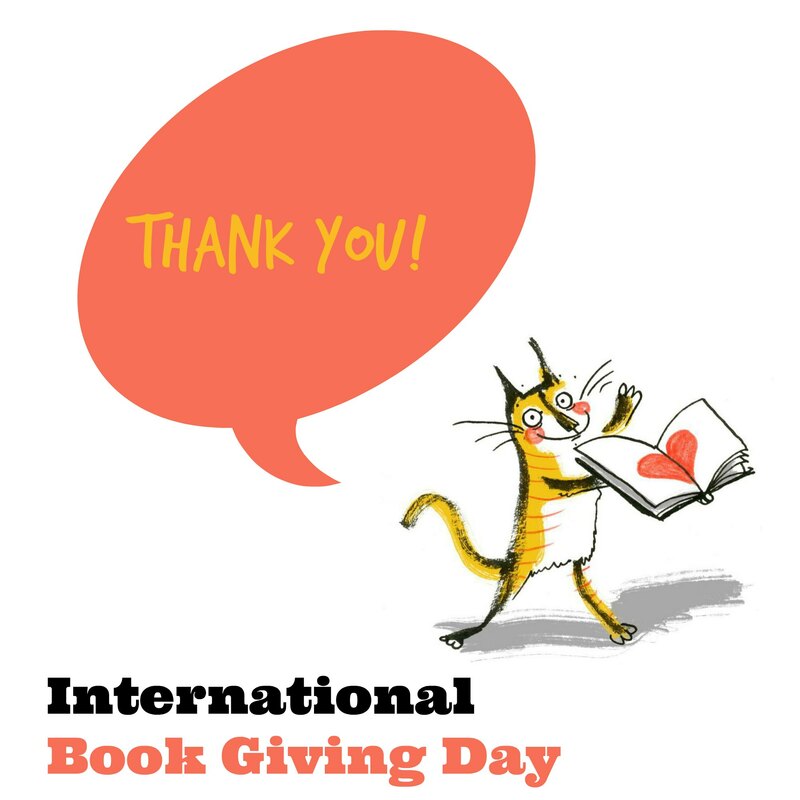 International Book Giving Day is the strongest, sunniest proof of what research (by Krashen and others) tells us: Nothing beats books in the hands and homes of students. Thanks for promoting this simple act with profound impact. Oh what a great story! … and thank YOU Craig for taking part. Next PostNext 2016 Poster Revealed!